Buy 3, 4th is FREE! inMOTION Auto Care Exclusive Promotion! Purchase 3 Shocks/Struts at the regular retail price and get ... [More] the 4th one for FREE. Digital Inspection with any service! 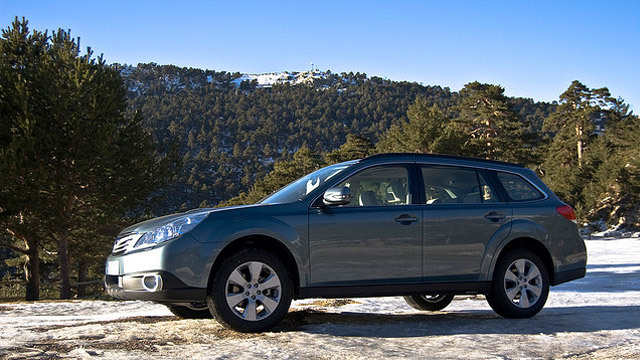 Are you searching for top-notch auto repair for your Subaru? Look no further than the auto mechanics at inMOTION Auto Care in Lincoln. Our ASE Certified auto mechanics specialize in the service and repair of imported and domestic vehicles, including your Subaru. And as a testament to the longevity and reliability of our work, we offer a 5-year/50,000-mile warranty on Subaru service. At inMOTION Auto Care, we always have your best interest at heart. We want to keep you, your family, and your Subaru safely on the Lincoln roads for many more years and miles. We thank you for choosing our auto repair shop for Subaru service and repair, and will do everything we can to make sure your car is safe and reliable. We will look out for you and your vehicle, as safety is our number one priority. “The entire staff at inMOTION are always so pleasant and caring whenever I bring my car in for service. I'm always kept abreast of the progress and when my car is ready for me to pick up. I've already recommend inMOTION to my friends.” -- Susan and Paul P.
Personalized service and genuine relationships are what makes inMOTION Auto Care unique and the go to shop for your Subaru needs. We will educate you about the condition of your vehicle, and we will empower you to confidently make a decision about which services need to be fixed now and which ones can wait until later. Schedule an appointment today for Subaru service, or stop by at 131 Russwood Parkway in Lincoln, NE 68505. We look forward to meeting you and your family!